Starting July 1, Srinivas "Srini" Pulavarti will serve as vice president and chief investment officer (CIO), responsible for overseeing the university's investment portfolio totaling approximately $6.9 billion. 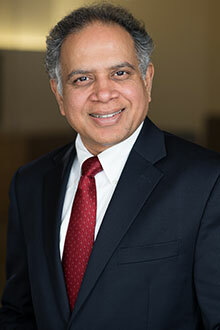 Emory University has named Srinivas “Srini” Pulavarti as vice president and chief investment officer (CIO), responsible for overseeing the university’s investment portfolio totaling approximately $6.9 billion. He will assume the post at Emory on July 1. Emory’s endowment provides ongoing financial support for a wide range of crucial initiatives to fulfill every aspect of the university’s mission, from funding student scholarships and financial aid, to investing in faculty excellence, and benefiting society through breakthrough research and high-quality patient care. In his role as CIO, Pulavarti will lead the Emory Investment Management (EIM) group, a team of investment managers who work to maintain a well-diversified portfolio, invest with best-in-class external partners, and seek opportunities to add value throughout market cycles. Since 2012, Pulavarti has been president and chief investment officer of UCLA Investment Company in Los Angeles, managing approximately $2.3 billion for UCLA Foundation and its affiliate organizations. With nearly 25 years of investment experience with managing assets for endowments, foundations and pension funds in the U.S., Pulavarti served from 2005-2012 as president and CIO of Spider Management Company, an asset management affiliate of the University of Richmond. While there, he conceived and built the first successful outsourced CIO model in a university environment. Previously, Pulavarti had served as director and head of global investment strategy for Citigroup Pension Investments in New York, as director of investments at Johns Hopkins University, as portfolio manager and manager of investments at Lockheed Martin Investment Management Company, and as senior fixed income and sovereign research analyst at Howard Hughes Medical Institute. He holds a bachelor of science degree in mathematics, physics and chemistry from Bangalore University in India, and a master of science in applied economics from Marquette University in Milwaukee, Wisconsin. David Barrett of David Barrett Partners was search consultant for the position.